Home Tags Articles tagged with "Real Estate"
Over time, the exterior paint will fade and make the house look older than it is. Instead of repainting a whole house, you can give it a fresh look by repainting the trim or “pop outs” around the windows. This shouldn’t cost more than a few hundred dollars but will vary depending on the size of the house. As buyers are standing on the porch waiting for the front door to be unlocked, they are examining the area around them. Make sure the ground is swept, cobwebs are removed from the ceiling, and lights are dusted and cleaned of any bugs. Also invest $10 to $20 in a new welcome mat and give the front door a fresh coat of paint, if needed. The majority of homes have desert landscape, so if you have grass in the front yard it can really be a nice feature. However, this time of year, most lawns have grass that is still dormant from the winter and filled with weeds. If the grass does not look lush and green, then the buyer will assume it is too much work to maintain and view it as a negative. Replacing the existing grass with new sod is not that expensive — a professional landscaper can purchase and install it in a 10-by-20-foot area for about $300. A burst of color from some flowers can provide a nice accent amid all the shades of tan paint and rocks. Try adding two or three small pots with some flowers on the front porch. The majority of yards already have an automatic landscape watering system, and you could easily connect it so that they are watered and maintained without any extra effort. The surrounding houses and yards can also impact the value of a home. If a buyer hears barking dogs or sees streets crowded with cars and unkempt yards, they won’t want to buy in that area despite how much they love the home itself. Unfortunately, you can’t pick your neighbors, but you have nothing to lose by politely asking them to keep their dog inside during the day or requesting they move the cars farther down the street until the home sells. And, even if you had to pay $100 for a landscaper to clean up someone else’s yard, it sure beats making a price reduction of $5,000 or more because the house isn’t selling. 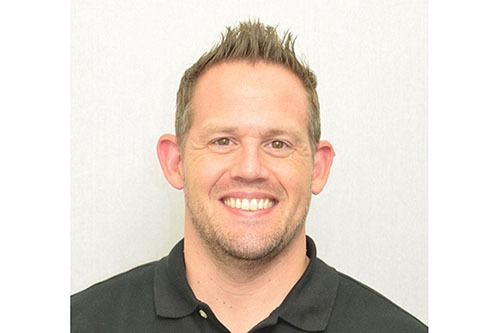 Dayv Morgan is a Maricopa Realtor and owner of HomeSmart Success. This column appears in the April issue of InMaricopa. A report by Phoenix-based consulting firm Applied Economics estimates Maricopa’s recent housing growth could be a sign of more to come. It projected 1,200 new housing units will be built every year for the next five years. If future construction projects become a reality, AE estimates the city could grow by 42,000 housing sites 20 years from now. To read the report submitted to Maricopa Unified School District, click here. There is an overall good outlook for housing in Pinal County. Both Ashton Woods and Lennar are very active in San Tan Valley. Maricopa is “not quite as active” as STV but more typical of a steady growth in home-building. Developers see Maricopa has a wonderful quality of life but has “some challenges” with traffic. Maricopa needs a new sign policy allowing builder signs to direct traffic to developments off the main road. Ramsdale said the current kiosks are hard to read, so newcomers on John Wayne Parkway have trouble finding Sorrento, where Ashton Woods operates as Starlight Homes. 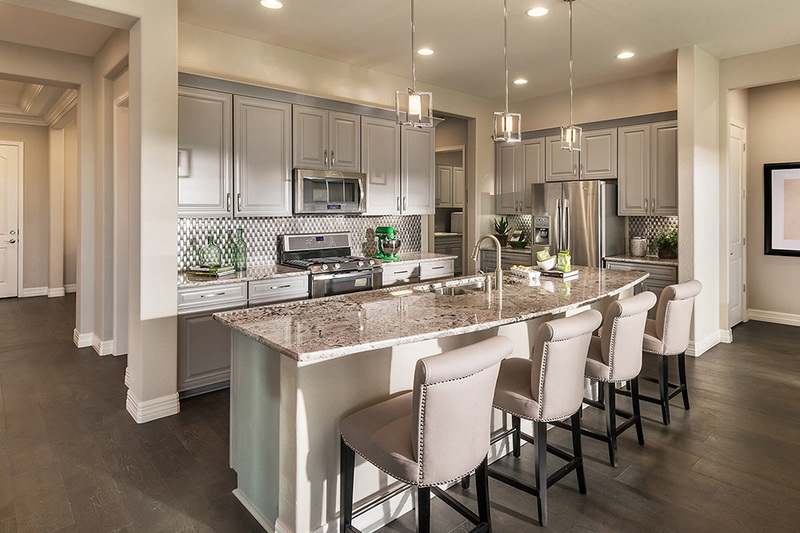 Lennar has taken “a couple of looks” at Maricopa, Gunderson said, but the market “hasn’t matured enough” for the company to come to town. All existing home sites are being absorbed. When all are absorbed, the prices will go up. Good things will happen south of the railroad tracks when the overpass is completed. Home-builders are advertising all across the country to get skilled labor to move to Arizona. Pinal County is finally seeing entry-level homebuyers coming into the market. This article appears in the March issue of InMaricopa. The most expensive home sold in Maricopa Jan. 16-Feb. 15 is a spacious, two-story house on a 9,000-square-foot lot that includes a pool and putting greens overlooking a lake. On the market for more than two months and primarily used as a second home that left it in like-new condition, it sold for just $5,000 under its asking price. The least expensive home sold in Maricopa Jan. 16-Feb. 15 has been around the block, so to speak. A short sale that previously changed hands for less than $1,000 in 2008 and again in 2014, the basic house is a fixer-upper. It was put on the market last February, had a contract fall through and was placed back on the market in October and sold for $5,000 over its list price. This is the perfect time of year to get out and get active before the summer heat wave hits Maricopa — and you don’t have to go far to do it. It’s likely your neighborhood has great amenities waiting to be discovered. Buyers often ask me to tell them which communities have the best amenities. It’s no surprise that Province would top the list in almost any survey. But for families with children, or those who want to be active but not in an “active adult” subdivision, there are 17 other wonderful communities to consider. Throughout all these neighborhoods are multiple parks and playgrounds. There are four subdivisions that also include community pools: Glennwilde, The Villages, Cobblestone and Desert Passage. Outside the swimming season, and for those without the option of a pool, there are plenty of other activities to choose from. Maricopa Meadows features a 27-hole frisbee golf course, a basketball court, an exercise course along walking trails, a huge waterfall and lake surrounded with benches. Tortosa also offers a frisbee golf course, nine holes with printable scorecards and a course map on the neighborhood’s HOA website. Homestead is ideal for athletes as it offers 10 basketball hoops, a full-size soccer field with two goals, and a sand volleyball court. There’s also a large lake with benches for those who prefer a relaxing walk with views. Desert Passage is also perfect for family-fitness enthusiasts. This neighborhood has a full-size soccer field with two goals, a sand volleyball court and two basketball hoops. It also has a baseball field with a backstop, sand infield and benches for each team. Cobblestone has a variety of outdoor activities for its residents, including eight horseshoe pits, four basketball hoops, a full-sized soccer field with two goals and a baseball backstop. It also features a large lake with five fountains. Sorrento has a family-friendly splash pad and two tennis courts. Keep in mind that many of the neighborhood parks have signs posted indicating they are for use by residents and their guests only. So, if you’d like to use amenities in another neighborhood, consider growing your social circle outside your subdivision. The least expensive home sold in Maricopa Dec. 16-Jan. 15 was a 46-year-old house across the street from Maricopa High School. It was the first time the home, built in 1972, had been on the market. Its selling price of $117,500 was $7,000 under its asking price. Though refurbished inside, the property showed its age in the Heritage District. 1. 19470 N. Taft Ave.
Seller’s agent: Robert Dishman, North & Co. Whether you’re retiring, downsizing or purchasing a new home, Maricopa offers plenty of real estate options. 1. The home must be a primary residence, and certified as such each year. 2. The property condition must be maintained. 3. The homeowner must still pay the property taxes, HOA and insurance. The newest option might attract seniors who want to live with family, but desire a separate living space. One builder currently has a single-story model for sale in Santa Rosa Springs that is a great option. This “multi-generational” floorplan has an area with a private family room, bedroom, bathroom and kitchenette, along with its own entrance from the exterior while still being attached to the main house. The properties are essentially two homes in one, and the HOA is only $65 per month, so it is a more affordable option than the adult community in the city. Province, Maricopa’s fabulous 55+ community, was voted the best active-adult community in the country in 2006 by the National Association of Home Builders. It features a 32,000-square-foot clubhouse and resort-style outdoor pool surrounded by a scenic 50-acre lake. Additionally, it is a guard-gated community, providing residents safety and security, especially for those who do not occupy the home year-round. However, these added benefits do come with a cost: Homes in Province have the highest price per square foot and the highest HOA of any subdivision in Maricopa. HOA fees are $678 per quarter for single-family homes and $918 per quarter for the Villas, which share an exterior wall with another home. Those looking to buy a home in other subdivisions might consider reverse mortgages – a unique option for seniors age 62 or older. With as little as a 20 percent down payment, purchasers can actually end up without a monthly loan payment. Additionally, reverse mortgages can allow homeowners to refinance their existing loan and convert home equity into cash. The money can be paid in a lump sum, through a line of credit or with monthly payments. Fees and interest are charged on the loan amount, therefore over time the loan balance increases and your home equity decreases. The most expensive home sold in Maricopa Nov. 16-Dec. 14 was a golf-course property in Rancho El Dorado. The luxury home’s history tells the story of the recession in Maricopa housing. It sold for almost $500,000 in 2007, then lost 45 percent of that price in less than a year. It recovered well by 2013, inching back to $425,000, but lost 13 percent by its most recent sale. It sits near the 18th green and has a pool and Jacuzzi with wonderful views. 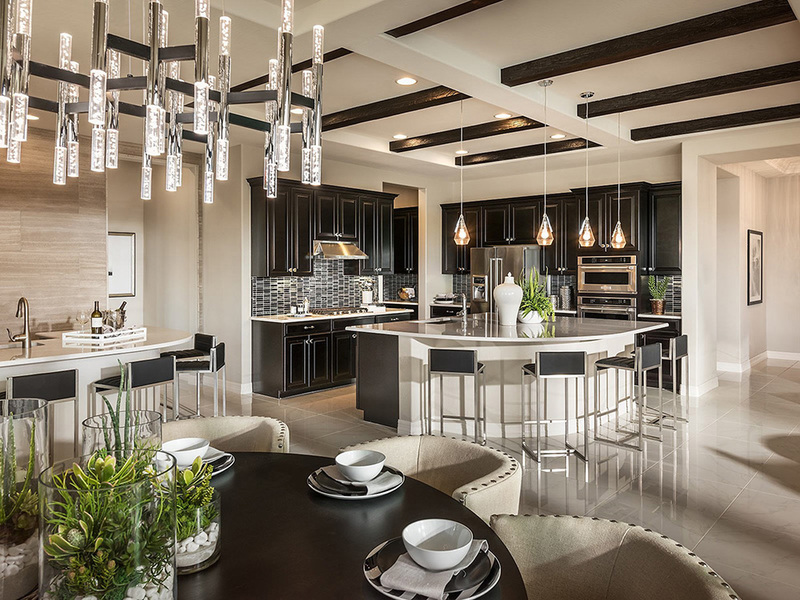 White: Mark Boisclair Photography, Inc.
As construction returns to Maricopa neighborhoods, new model homes give us a sneak peek into upcoming design trends in our region. Last year, five builders opened model homes in six subdivisions and another three are scheduled to build new models in 2018. White and espresso seem to be the dominant cabinet colors displayed in the model homes for builders locally, with granite or quartz countertops in almost every home; a few with just Formica laminate. That design combination is also popular with many of the investors I work with. Province Sales Associate Amy Jo Schoeberl said in her community most homes sold have white cabinets, with fewer buyers choosing espresso compared to two years ago. Flooring choices inside the models were predominantly tile, in imitation “wood plank” style or in 12-by-24-inch size. A few of the homes had wood floors, and there were also some with vinyl floors that looked like wood. Almost every new model I toured had gray- or beige-toned paint on the walls. The exception was Starlight Homes in Sorrento. They painted the walls white. Starlight is also somewhat unique in that the drywall corners featured in the model are straight corners instead of rounded. I was told that look is becoming popular. In fact, straight corners with this builder are actually an upgrade with an additional cost. Meritage Homes at Homestead also has a model with white walls and straight corners, leaving out a design option for rounded corners. Fulton Homes in Glennwilde, Costa Verde Homes in Santa Rosa Springs and Scott Communities in Sorrento are opening new models this year. It will be interesting to see what design aspects they pick. One thing to keep in mind is that design trends are cyclical, so don’t stress if you feel your home is out of style. Give it enough time and it will be trendy again. Espresso: Mark Boisclair Photography, Inc.
Gray: Mark Boisclair Photography, Inc. The most expensive home sold in Maricopa from Oct. 16 to Nov. 15 is a 12-year-old Fulton house in a Cobblestone Farms cul-de-sac. Its price increased 36 percent since it last sold in May. It sold for $900 under its list price. One of its six bedrooms is downstairs, and all upstairs bedrooms have walk-in closets. Its pièce de résistance is a pool and spa with a grotto, slide and diving board. The least expensive home sold in Maricopa from Oct. 16 to Nov. 15 is described as a great starter home in Maricopa Meadows. The low-key house sold for 14.3 percent above its last sale nearly four years ago and $5,000 under its asking price. When it’s time to put a home on the market, many sellers don’t think about the impact high fees will have on resale. It is important to keep in mind what buyers in the area will consider when shopping for a home in Maricopa, including homeowners association fees. It’s also important for buyers to research costs associated with nearby HOAs and how that may affect their purchasing power. Let’s take a look at an example: At a 4.5 percent interest rate over 30 years, $50 a month in HOA fees equates to about $10,000 in purchasing power. We’ll say that a buyer is qualified for up to a maximum of $160,000 and the lender estimated the HOA at $50 per month. The buyer could make a purchase in Homestead North, where the HOA is $48.50 a month at $160,000. But, if he purchases in Desert Passage where the HOA fee is almost double that of Homestead, he will only be able to afford a home up to $150,000, assuming taxes and interest are the same. Another cost often overlooked is HOA fees that must be paid at closing. Palo Brea, for example, has over $1,500 in disclosure and capital improvement fees, compared to Rancho El Dorado’s $400 disclosure and transfer fees. While these are often paid by the sellers, the fees could be negotiated to be paid by the buyer. However, the buyer will likely want a lower price in return. Even worse, the buyer could walk away altogether at the thought of having to pay the HOA over $1,500 in the future. Brian French with his son Kyler, whom he adopted through the Department of Child Safety's foster program. When it comes to giving back to the community, one Maricopa Realtor doesn’t draw a line between his personal and professional lives. From taking on the role of a foster parent to going above and beyond to help his clients, Brian French of the Maricopa Real Estate Company tries to take a more benevolent approach to life. It’s about building those friendships and paying it forward to the community, he said. French, originally from Omaha, Nebraska, has been in Arizona since 2009 and Maricopa since 2010. Around that time, he was certified as a foster parent. After caring for more than a dozen children, French decided to take it one step further. In 2011, he began to care for a 6-day-old boy who, in his short life, had already been through an incredibly traumatic circumstance. For French, that was when things started to change. In Arizona, the Department of Child Safety will make every effort to keep a child with their family, giving parents, grandparents and aunts and uncles the chance to step up, French said. For this young boy, that was not a possibility. “He didn’t have anybody. [His mother] didn’t even know who the father was,” French said. He took that as a bit of motivation and decided to adopt the boy he named Kyler. A year later, the adoption was complete, and Kyler was officially his. French, at the time of the adoption, was married. But that soon ended. After a grueling battle, French retained full custody. Being an athlete most of his life, French is a motivated individual with a positive mindset. He said he never let the experience hold him back from giving his son the best possible life. He has since stopped fostering, but not for a lack of trying. “They [DCS] don’t tend to trust single men, I guess,” French said. That means he gets to focus on Kyler and devote time to another relationship from which they are expecting a child soon. As his family grows, French’s future as a foster parent seems uncertain. But that’s OK, he said. For now, he has the flexibility to be there for Kyler. “I take him with me sometimes when I’m doing business or handing out flyers,” French said. French said there are countless resources for people who want to foster children but feel like money is a factor, and he is willing to help anyone navigate the complexities of the system. Maricopa residents Deborah and Carlos Weekly said French was helpful as a Realtor and a parent. Several years ago, when in the process of facilitating the adoption of their grandchildren, Deborah said French helped the family secure a rental property when other realtors wouldn’t lift a finger, she said. Deborah and her husband developed such a bond with French they eventually used him when, approaching retirement, they decided to sell their home and downsize. Not only is he a wealth of information and support when it came to the foster care system, she added, but his smile and positive attitude are something to behold. Now, she said, they consider him and his son to be part of the family. At about 50,000 people, the city of Maricopa is significantly smaller than Maricopa County, which boats a population of 4.2 million. Despite our small-town feel, Maricopa does almost double the ratio of VA home loans over the Maricopa County housing market. Between January and September, VA loans made up 12.4 percent of the loans for closed home sales in the city. Maricopa County’s VA loan figure was 6.9 percent over the same period. Because VA home loans require veterans to occupy the homes they purchase, it could safely be assumed we have a very patriotic city with twice as many veterans and active duty servicemembers purchasing homes per capita as the Phoenix area. There are many benefits for those who qualify for a VA loan. According to the U.S. Department of Veterans Affairs, generally there is often no down payment unless required by the lender, no private mortgage insurance, no credit score requirement and VA loans can also be used to refinance an existing home. Veterans and active duty servicemembers who meet certain length-of-service requirements are usually eligible for a VA loan, along with other certain groups of individuals. To learn if you are eligible, call the VA at 1-877-827-3702. This column appears in the November issue of InMaricopa. The end of summer brings with it the cooling of the Maricopa housing market. The affordable housing in the city makes it a popular location for new families who try to plan their purchases toward the end of the school year so they can move over the summer break. Generally, things tend to slow down slightly in the fall after school starts and we get closer to the holidays. Between October and December 2016, the median sold price decreased each month by $1,000. Many anticipate a large demand from winter visitors or Canadians purchasing during these months. While this may be true in one local subdivision, the overall market tends to be slightly down as autumn also marks a time of year when houses take longer to sell. Houses sat on the market for the longest amount of time last year during December at an average of nearly 82 days. October came in second at almost 80 days. The number of listings that went under contract in 2016 was lowest in December and highest in March. Province is often the exception to the trends. The retirement community is usually slow in the summer, but sees an uptick in activity in the fall when winter visitors make their way into the city. This column appears in the October issue of InMaricopa. The most expensive home sold in Maricopa Aug. 16-Sept. 15 has been called “the castle” by neighbors and is noted as one of the most luxurious in town. It backs up to The Duke golf course and includes an RV gate and three-car garage. The house first sold in 2004 for $313,000 and then dove to $177,000 in 2011 before doubling its value in 2012 to $370,000. Its sale price this year is another 23-percent improvement. Features: Tons of custom features, from knotty elder doors and roman blinds to a granite table named “The Continent” and an outdoor pergola with a heated pool and pebble tech spa. The least expensive home sold in Maricopa Aug. 16-Sept. 15 was an LGI home in Glennwilde. Listed as a short-sale, it sold for $6,500 under the asking price. The three-bedroom, 4-year-old house is 1,393 square feet on a 5,457-square-foot lot. It was previously listed in 2015 for $160,900. The city of Maricopa is certainly on the map for many homebuyers as an affordable, safe and attractive place to live. For these reasons, and as prices go up all over the Valley, there is increased demand for houses in Maricopa. In terms of number of houses sold and average sold price, 2017 has already proven to be a great year for Maricopa real estate. Here are some current numbers to educate you on the Maricopa real estate market. Looking at the first 6 months of 2017, the median price of homes sold is already an average of 9 percent higher than last year. The current median price of a home sold during this time period was $193,416, compared to last year with a median price of $176,041. The number of homes sold in 2017 through July, is about 1,080 single-family dwellings in an HOA subdivision. Inventory is holding at about a 60-day supply of homes, which is considered somewhat low. New-builds are not always included in these figures, as only spec homes are usually added to the Multiple Listing Service. There has been a substantial growth with new builders continuing to build and buying up empty lots in various subdivisions. Fulton for example will be building approximately 400 new homes in Glennwilde, while DR Horton covers the remaining empty lots in that subdivision. The rental market is going up, too. Inventory has held steady at just under 30 rental homes available at any given time in 2017. The average rental price is $1,180 a month.Many homes are getting multiple applications. There is still a loan program available that can help renters become homeowners by offering a no-down-payment assistance option.This is helping renters with good credit but limited funds become homeowners in this competitive rental market. The real estate forecast from many real estate sources for 2018 is still very positive.Home prices are predicted to rise at a steady but reasonable pace. Interest rates maycontinue to rise but at a modest pace as well. The demand for housing is predicted tocontinue in the Phoenix area overall, according to the Home Buying Institute. Maricopa has some wonderful, new, commercial industry coming to help support the residential needs, too. As long as supply remains steady, we should see a year very much like 2017. 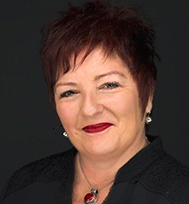 Pat Lairson is a Realtor with Maricopa Real Estate Company. She can be reached at 520-280-5862 or PatLairsonRealtor@gmail.com. Marc David Montgomery and the Home Bargain Planet team have been bought out by Keller Williams Luxury Group and will help to spearhead The Real Estate Guy and Associates segment directed by top selling agent Chris Dunham. Dunham and Montgomery worked together for three years at John Hall and Associates mostly during the real estate crash selling and procuring HUD Homes. As they sold home price points which stayed under the crashing market, their work not only paid off in the amount of deals they were producing together, but is also now being paid off by the vision they developed of opening their own company together in the future. 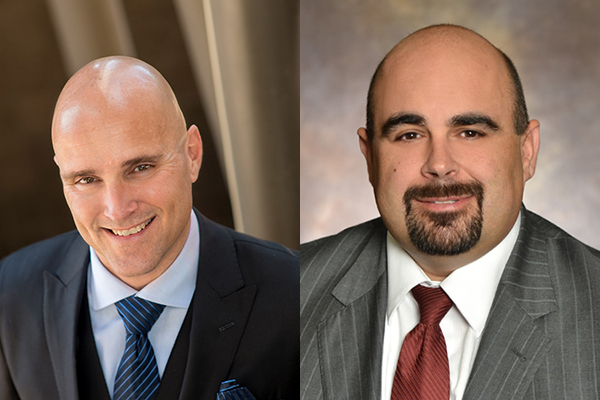 After several weeks of negotiations with the many different brokerages for their business, Dunham and Montgomery chose Keller Williams Luxury Group. They felt the decision was very difficult so they basically deferred to their wives to help make the final decision. Carey Han is also joining the team. This article appears in part in the September issue of InMaricopa. Buying or selling your home is one of the biggest financial decisions you can make. In fact, it can make or break you. Making the wrong decision can affect you legally, financially, emotionally and for a very long time. Choosing the right Realtor is vital when selling or purchasing a home. It can take the pressure off you and help ensure your home sale or purchase gets completed. So how do you pick the right Realtor to help you buy or sell your home? You may look at a Realtor as a salesperson, but a better title would be a manager. A Realtor manages the process from beginning to end. There are many things that can go wrong in a transaction, but a good Realtor knows how to minimize potential problems from the start and have available solutions to problems if they do come up. They can help you get your home ready to sell and help you get prepared to buy. Whether buying or selling, one of the worst things that can happen is to go under contract on a home and not be able to complete it. This should not happen if the necessary pre-work is done and good management is in place. Interview your potential Realtor. Ask them about any problems that could arise and how they would handle it. Talk to other buyers or sellers they are representing. Are they happy with this Realtor? Discuss a few scenarios of “what ifs” and listen to their response. Is your Realtor available? Find out what hours your Realtor works. Some Realtors don’t work weekends. You want a Realtor that is available when you are. Ask about marketing. How does the Realtor plan to market your home? Have them show you other clients’ homes they have represented and look at how they write up the listing and what the photos look like. Getting a recommendation from friends and family is a good place to start, but you should also do your own research. Does the Realtor know the area you live in or want to live in? A good Realtor should be able to connect you to great lenders and other vendors for repairs or other transaction needs. Maricopa has many local Realtors to choose from. Taking the time to do your homework upfront to find the right Realtor can save you time and money in the end. We are still in a robust real estate market with no signs of slowing. We are holding at just under 300 HOA subdivision homes currently for sale. The average price of active listings is about $102 per square foot. If you own a home, you’ve probably been curious as to what your home is really worth. After all, it’s the biggest purchase you’ll probably make in your life. So, you hop on to Zillow and you get their “Zestimate” and now you know, right? Not so fast. Zillow, along with a host of other online Automated Valuation Models (AVMs), are based on algorithms that look for correlations between property data and calculate a value based on that information. Simply put, this algorithm allows visitors to quickly find a home value estimate by just searching an address. While that’s all well and good, the calculations don’t take into account everything that a true Comparative Market Analysis (CMA) would. For example, what about that $30,000 backyard that you had put in? The $15,000 in upgrades you made in the kitchen? And the unique size or location of your lot? Probably most importantly, how does your home compare to a similar home in your neighborhood that has actually sold? “Zestimates” and other AVMs don’t really dig into those facts. But a CMA that’s put together by a Realtor will. To get an in-depth understanding of what your home’s true value is, and what the market will actually bear, you should contact a Realtor who can put together a CMA that is customized for your home. This gives you the best, most detailed and most accurate valuation based on all of the facts of the property. And when you decide to sell, basing your list price suggested by the CMA greatly increases the odds that the buyer’s appraisal will support your asking price. Remember, if an appraisal comes in lower than the asking price, the bank will not make the loan. If you’re curious about your home’s value, whether you’re looking to sell right away or not, feel free to contact me. People are genuinely curious about their home’s value, and I’m more than happy to help them get the facts they need. 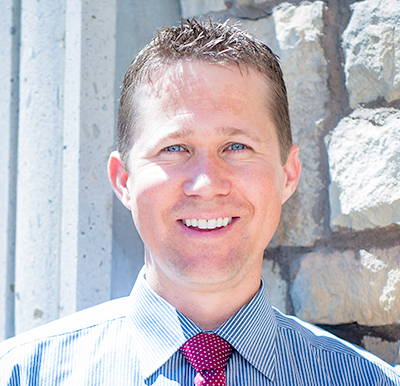 Jeremy Winegard is a Realtor and accredited buyer’s representative with Revelation Real Estate. This column appears in the August issue of InMaricopa. As children prepare to go back to school this month, even if you don’t have children you can feel the effects of school starting throughout the city. We drive just a little slower through our subdivisions, and the crosswalks are filled with children walking to and from school. As a parent, how much did the school your child attends affect your decision to buy the home you are in? How do school ratings affect the property values in a city overall? As a Realtor, I get asked by buyers about the schools in Maricopa. I usually will hand out a list of schools including the charter schools and community college. A question like, “Are the schools in Maricopa good?” is a loaded question. What makes a school good? There are usually so many questions within that question that a simple answer cannot be applied. I will direct the buyer to the Maricopa Unified School District website and the charter school websites. There is a wealth of information there about programs that can help a parent decide what school is best for their child. I also refer a parent to websites like Schooldigger.com, which uses a 5-star rating system based on a number of different factors including enrollment, student/teacher ratios and test scores. In a 2016 Realtor.com study, it was found that homes in the best school districts, on average, sell for higher prices than similar homes in less-popular school districts. Also, one out of five homebuyers said they would pay 6 to 10 percent above their budget for the right school. One out of 10 would double that to 20 percent. So, school ratings can affect property values along with many other factors. Maricopa is a unique city, though, in that there are multiple schools a parent can choose from within a short distance of each other. There are 299 single-family HOA subdivision homes on the market for sale. August typically slows down a bit as families adjust to school and a schedule shift. The lowest-priced home is listed at $149,900, and the highest price is $479,900. Realtor: How easy is it to buy a home? Whether renting or owning, everyone needs a place to live. With the price of rents soaring across the Valley, why do people choose to still rent over buying? The average rental amount in Maricopa is $1,200 a month, and the average rental price in Chandler is $1,811 a month. It takes about three years from the time you purchase your home to gain enough equity to sell it again and have some equity left to put in your pocket. If you know you will live in a certain area for up to three years or are OK to become a landlord should you move, then buying a home now should be on your to-do list. If you choose to proceed to buy a home, the first step is to get prequalified. The three most typical loan types are conventional, FHA and VA. All require different criteria and different amounts of a down payment. Any loan where a buyer does not put 20 percent of the purchase price down usually results in PMI, or a private mortgage insurance cost added to your monthly loan amount. In the state of Arizona your taxes and home insurance are impounded into your escrow account so the monthly mortgage you pay will include these two items. AZ E-housing gift amount is between 3 percent and 5 percent, depending on the type of loan, that can go toward down payment or closing costs. Maximum annual income limit of $92,984. No first-time buyer requirements. Buyers can own other real estate. This is an awesome way to become a homeowner, and the funds do not have to be paid back. 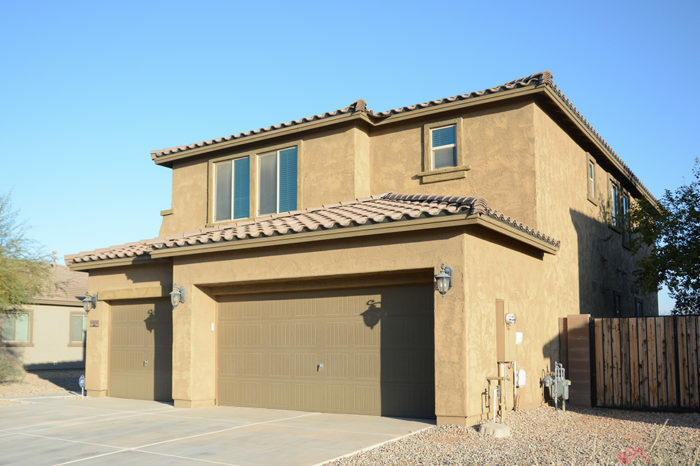 There are approximately 280 available homes for sale in Maricopa. The current price range starts at $144,000 and goes up to $480,000. This column appears in the July issue of InMaricopa. There does not seem to be any slowdown in the Maricopa real estate market. With school out, many families are now free to move in the upcoming summer months. Homes prepared to sell, meaning they are decluttered, clean, paint and landscaping in good condition and priced right, are moving very quickly. If you are a seller, be prepared to see offers where the buyer asks you to pay some closing costs. It is common with the current lending grant program for buyers to also need some help with they’re closing costs. These offers usually are at or above list price, though. Right now, the number of active listings and homes under contract is even-steven. We have about 280 homes available for sale and about 280 homes under contract, too. This should give you an idea of the pace we are in right now. Since January, 655 homes have closed in Maricopa. If you have not driven around Maricopa’s various subdivisions in a while, you probably don’t realize how many empty lots are being completed. DR Horton is still building in Homestead in their gated community and in The Villages. They will begin in Glennwilde and Santa Rosa Springs soon. Fulton will be filling in the rest of the empty lots in Glennwilde this summer. 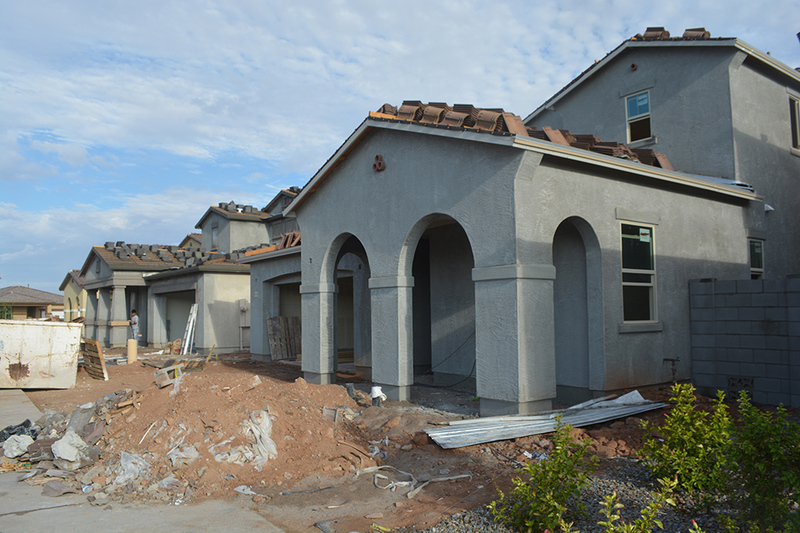 LGI is now building in Rancho Mirage, and KB Home is still completing Desert Passage and parts of Homestead. As you can see, there is a lot going on. If you are selling or buying in Maricopa, using an agent who lives and works in Maricopa is most important. Knowing the area and the market will help ensure an easier and more profitable transaction for you. What is happening with the real estate market in Arizona? Are we in a bubble? Will there be another crash? Is buying a home a good investment? Ask 10 people these questions and you may very well get 10 different answers. The good news is you don’t need to guess or listen to rumors if you are trying to decide to buy or sell a home. There are enough statistical facts a Realtor can provide to you that will help you make an informed decision. Let’s look at some numbers for the Maricopa real estate market. There are approximately 272 single family homes actively listed for sale on the MLS in Maricopa. The average list price of these homes is approximately $101.55 per square foot. The lowest-priced home is listed at $135,000 and is 1,191 square feet in size. The highest-priced home is listed at $439,900 and is 3,954 square feet. There are 283 homes currently under contract or in escrow waiting to close. 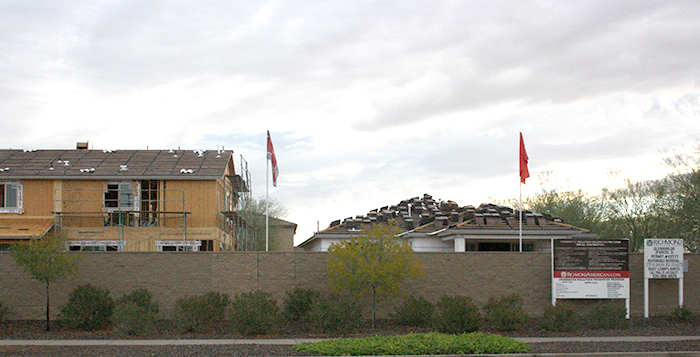 Since Jan. 1, approximately 461 homes sold in an HOA subdivision in Maricopa. We have about a 47-day supply of homes on the market. So what does this mean to the person that wants to sell their home? With a lower inventory and higher price per square foot, if you have been thinking about selling your home, now is a good time to do it. For buyers, interest rates are still holding steady and depending on credit scores and other factors a buyer can still get an interest rate at or under 5 percent. If you are renting and your lease is ending in the next few months you really should look into buying. The rental market in Maricopa is off the charts! There are only 27 homes available to rent, and most homes are getting multiple applications. Rental prices have increased dramatically, too, with the average rental price being about $1,200 per month. There is still a down payment assistance program for Maricopa called Home Plus that can give you up to 5 percent of your purchase price with no payback clauses. If you own a home already and want to upsize or downsize you are in a win/win position. Get the facts. Don’t let fear or rumors stop you from moving in the right direction for your future. If you want more detailed information about your specific situation, a Maricopa Realtor can provide that for you. Do you discuss the cost of utilities in Maricopa with your clients during the home-search process? This is a major concern of both commercial and residential customers. I explain that our infrastructure was built to accommodate 100,000 people, which was [the] projection by this time. The downturn in the market slowed down our growth, and we are supporting and supplementing the utilities until such time as population catches up. I always go over the utility bills with potential buyers. If we can get a history of utility bills from the seller we do. If not, some utility companies will give out the lowest and highest bill from the previous year and this is helpful. I explain that we have a private water company and even if you don’t turn your water on your bill will average $100 a month. I also make sure they are aware of what their HOA assessment is per month and what that covers. This is very important information for a prospective buyer to know as it could affect their monthly mortgage affordability. I don’t discuss it very much, other than saying that the average water/sewer bill is in the low $100s. I find that electric bills vary widely from house to house based on a) which company built the home, b) the size, maintenance and SEER rating of the AC unit, and c) the temperature that you set your thermostat. Google the rates for SRP and APS. In summer they are actually higher than the per kwh rate of ED3. This article appears in the April issue of InMaricopa. 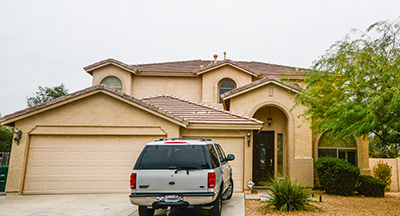 From Aug. 15 to Sept. 15, two Maricopa homes sold for $295,000, which was the top price during that period. Both are two-story homes with swimming pools. The six-bedroom home on The Duke golf course was on the market more than three months and dropped its asking price by $4,999. That was an increase of 35 percent over its selling price five years ago. The other home is in Glennwilde and lasted just over a month on the market after lowering its price by $4,900. That was still 9.3 percent higher than its price in 2014.